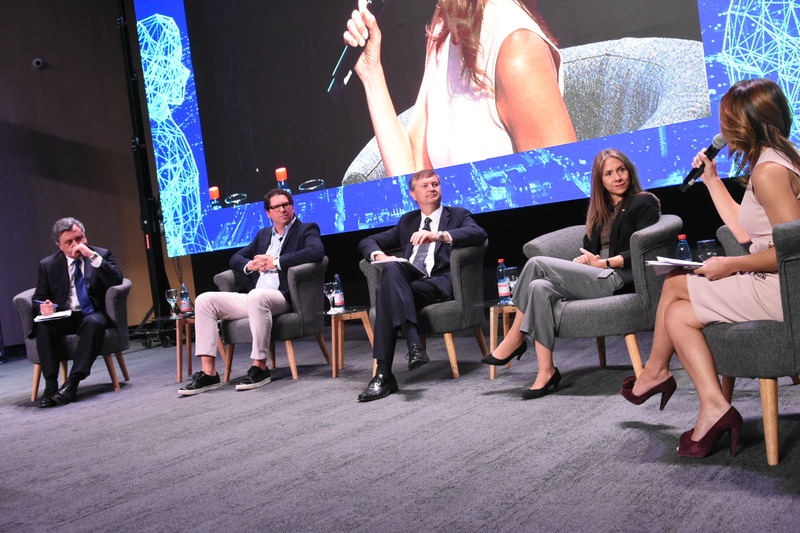 An important conversation about the energy of the future was made in the context of the Third Cycle of “Conversations that Connect 2018”, a dialogue forum organized by Transelec together with Congreso del Futuro and Diario Pulso. The participants include the Minister of Energy, Susana Jiménez; Gianni Kovacevic, recognized expert in topics of energy, natural resources and emerging markets, graduate of the Institute of Technology of British Columbia; Rodrigo Palma, director of SERC Chile; and Andrés Kuhlmann, general manager of Transelec. How will the energy of the future impact our lives? In what way does current regulation adapt to the challenges of the energy of the future? What are the new entrepreneurial opportunities that the energy of the future will demand? These were some of the questions that the experts raised in this conversation panel. The Minister of Energy, Susana Jiménez, said that “we must constantly look at what changes are coming, the trends, how we align our public policy from the public sector, our regulations, and to not only accelerate the introduction of those changes but to have the sufficient speed so that those trends that are not visible today but that will be relevant tomorrow, can be collected for the benefit of the quality of life of society”. Gianni Kovacevic commented that today we are moving from fossil fuels to electrification. “Once you move away from traditional resources, what you have to do is start a new electrification process. That change will be led by renewable energies. In Chile, there is a lot of sun in the north, and also lithium and copper that make electricity possible. There have wind potential in the south. Electricity is the future, “he said. Andrés Kuhlmann said that “this change will be experienced in an accelerated way in Chile, moving towards an increasingly electric country, because the costs of electricity have been falling consistently in energy tenders in recent years. A low that is being transferred quickly to consumers. However, for all of this to happen, we must have a flexible regulatory framework that allows us to move from the current electric power industry to the energy industry of the future”.